When you complete the customization of settings, click Build password button. 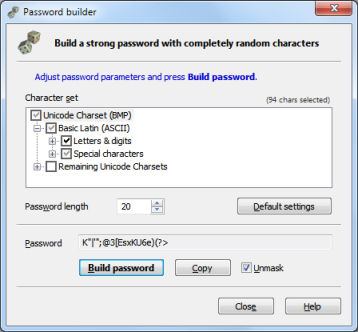 The Password Builder will create the password and put it into the text box labeled Password. You can then copy the password to the system clipboard using Copy button or see its contents using Unmask checkbox.